You have a need for speed, but don’t want to sacrifice space and comfort for performance. 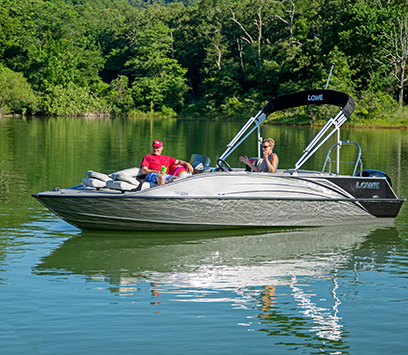 With a Lowe Sport Deck, you can have it all - room to entertain, hair-whipping cruising, even the option to fish. 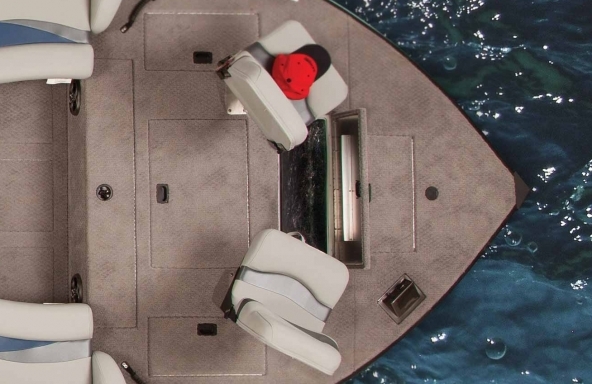 These unique sportsters match super-wide, all-welded runabout hulls with generous pontoon-style decks, and can be fully customized from a laundry list of value-added options. A versatile angling machine, the SD includes 2 pedestal fishing seats, in-deck rod and gear storage, and two aerated livewells. Looks great, fishes awesome. When you want the best of both worlds, choose a Lowe Sport Deck. The SD 224 is all about versatility, and the balance of comfort and practical functionality. The bow accomplishes this with the ultra soft dual chaise lounges with underseat storage. 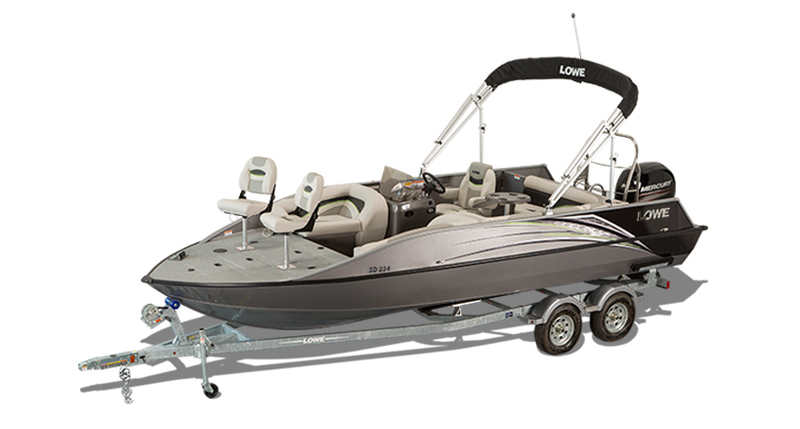 The bow of the Lowe SD 224 is decked out with 4 storage compartments, an aerated 11.4 gallon livewell and a pair of pedestal fishing seats. 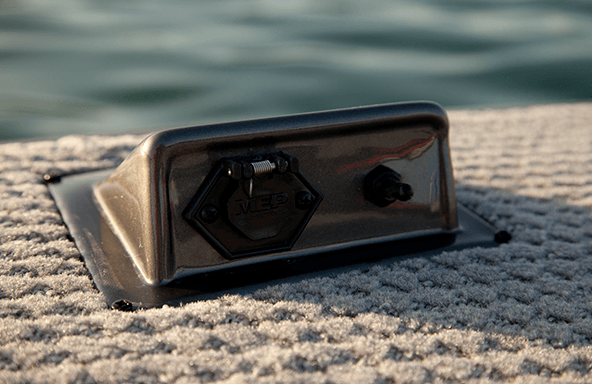 Upgrade your fishing package to include a MotorGuide trolling motor and take advantage of the wide casting and unique stability only available on a Lowe SD deck boat. 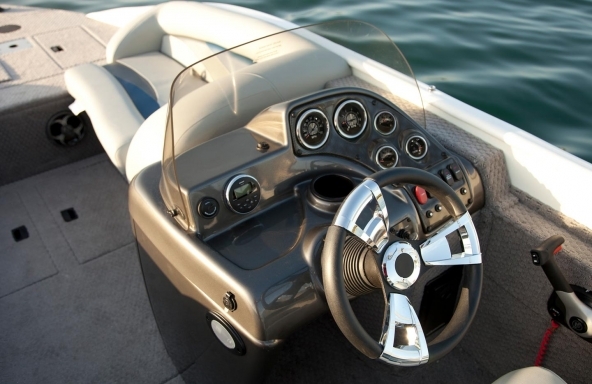 Command the SD 224 in comfort and style from behind the tough and smooth acrylic composite console with a glove box, featuring a tinted windshield with quick disconnects, tilt steering, and smooth 4:1 anti-feedback. 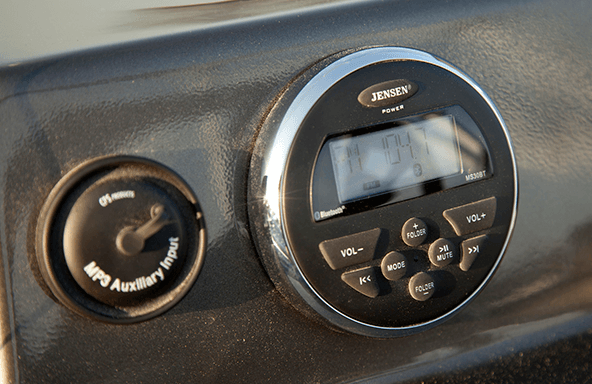 The SD comes standard with a waterproof, backlit LCD display Jenson MS30 stereo with an AM/FM radio, Bluetooth device connectivity, and an MP3 port. 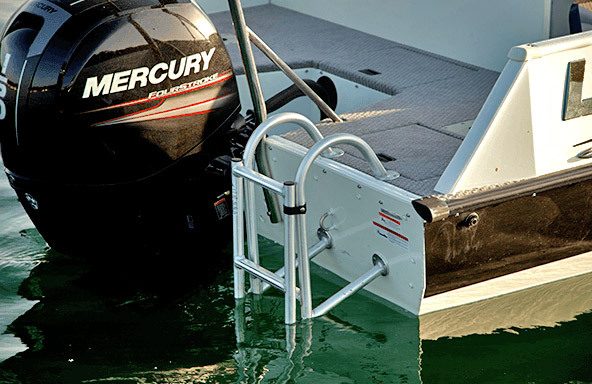 Gain easy entry via the stern of the SD when fitted with a heavy-duty, extra-capacity 4-step ladder.